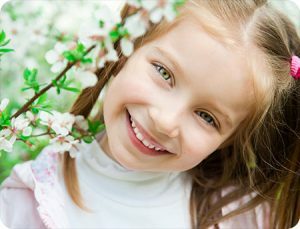 Children experience many milestones throughout their lives and when it comes to orthodontics in Pottsville, PA, getting permanent teeth is one of the biggest. As parents, we’re there when our kids take their first step, say their first word, and when their first baby tooth comes in. It’s one development after another, and before we know it, they begin losing their baby teeth, making way for their permanent smile. Although for most children, this is an exciting stage of life, there are some who experience delayed tooth eruptions. 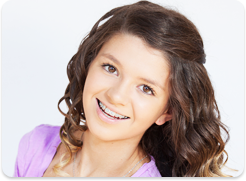 Our expert orthodontist from Spark Orthodontics is here to explain why this sometimes happens. According to our orthodontist, the main reason a child’s permanent teeth don’t erupt is due to lack of space. If a child’s baby teeth don’t have the necessary space between them, then their permanent teeth will have difficulty growing in. Lack of space can be caused by premature tooth loss, a narrow jaw, or having supernumerary (extra) teeth that grow in the spaces intended for permanent teeth. Another reason your child may experience a delay in permanent tooth eruption has to do with genetics. We all know that we take on the traits of our parents. Our family history has everything to do with how we develop, and your child’s teeth are no exception. If a parent’s teeth came in late, then there’s a good chance your child’s will also. 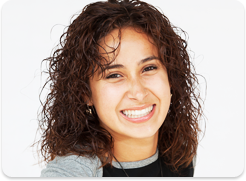 We’ve all heard the saying “you are what you eat,” and that holds true when it comes to children’s orthodontics in Pottsville, PA, and matters of the teeth. Because your teeth require special nutrients like calcium to grow, nutrition plays a huge role in their development. For many children, the younger years mean seriously picky eating, which can often leave them missing out on essential vitamins and nutrients. If you think your child may not be getting the proper nutrition, talk to their pediatrician for guidance. There are other potential causes for delayed tooth eruption, so always check with our office for information regarding children’s orthodontics in Pottsville, PA. Our team of experienced professionals can help you address your child’s orthodontic needs and answer any questions you may have. We’re here for you! The information provided in this article is not meant to be medical advice and is for educational purposes only. If you would like to learn more about this and other topics related to orthodontics, feel free to contact Spark Orthodontics, with a convenient orthodontic office near Pottsville, PA, by clicking here or by calling 610.865.2777.